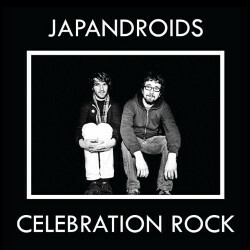 In many ways‚ Celebration Rock is the perfect title for the new Japandroids album. Bookended by fireworks and punctuated by enough whoas and ohs to rival British football anthems‚ the album sounds like a three a.m. sing along at the summer's best party. And why not celebrate? Celebration Rock's existence itself is worth toasting considering Post-Nothing‚ the band's 2009 debut‚ was also expected to be Japandroids' breakup album. But don't let the revelry fool you‚ Brian King and David Prowse's latest effort is far more than just a victory lap. Celebration Rock builds on the captivating punk riffs and clever tag lines of its predecessor‚ creating an album with tighter instrumentation‚ stronger songwriting and ultimately better songs. The beauty of Post-Nothing was that it captured a moment of urgency when King and Prowse were pouring every last bit of energy into their assumed swan songs. Their follow-up somehow recaptures that energy‚ with King yelling "like hell to the heavens" on the opening "Night of Wine and Roses." It's immediately evident that King has greatly improved as a lyricist‚ trading in snapshot quips about French kissing French girls for conceptually driven verses that incorporate King's wit into songs about body image‚ heaven and hell and the fire that still burns inside them. King's lyrics already felt personal for Japandroids' loyal fanbase‚ but his evolution as a writer connects the band's music to a wider audience. By the time the first "oh yeah‚ alright" kicks in on "Evil's Sway‚" Japandroids sound as if they could be this generation's Petty-esque every-men. Celebration Rock is masterful‚ and the only issues that stop it from being completely flawless have less to do with content and more to do with continuity. The band's cover of Gun Club's "For the Love of Ivy" is an enjoyable outtake‚ but it fails to capture Japandroids' distinctive personality. The young band's nod to an influence is admirable‚ but Celebration Rock is Japandroids' shining moment‚ so they shouldn't share the spotlight. And 2010 single "Younger Us" still sounds great‚ but its' overt nostalgia feels out of place here. It's hard to criticize Japandroids for a song that so openly and vulnerably yearns for the days when they were still "thinking this feeling was never going to end‚" but the rest of the album so fully embodies the present that "Younger Us" ends up sounding like reminiscing about a party that isn't over yet. Someday‚ possibly soon‚ Japandroids will be finished and we'll be left to wax nostalgic about the good old days. But tonight we're still drinking‚ the fire's still burning bright‚ and the celebration is in full swing.